2 comments | First published March 15, 2017 , last updated April 8, 2019 . Reading time: 5 minutes. Okay, so, you’re in a desperate need of a quality set of hair clippers, but the market is filled with hundreds of different brands and products and the search leaves you confused? You’re not alone, we’ve all been there. Yes, buying the right hair clipper is challenging, but hey, that’s where we can help! 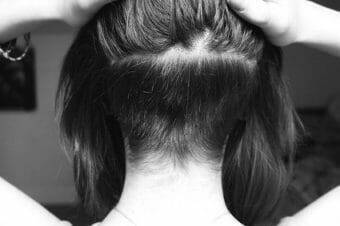 More and more people are opting for hair clippers; some of them are professional barbers, while others simply want to save some money on the side and cut their own hair. It doesn’t matter in which group you belong; all that matters right now is buying the best hair clipper that will make the job go smoother for you. Now, which is the first product that comes to mind when someone mentions hair clippers? That’s right: the popular Oster 76! If you just can’t wait, find out more about the clippers from the users’ reviews by clicking here! Well, for starters, some of the best professional stylists and barbers worldwide recommend this Oster set of hair clippers. But, why all the fuss around this product? Its powerful motor, heavy-duty performance, and lasting durability are some of the features that make the Oster 76 stand out from the other hair clippers. It’s no wonder why many people refer to this set as a workhorse: it’s designed with a break-resistant and ultra-durable housing. Oh, and it also includes blade guard, two detachable Cryogen-x blades in #000 size and #1 size, clipper grease, lubricating oil, cleaning accessories, and instruction sheet. Click to find out what most buyers miss in the classic Oster 76. And no, you don’t have to be pro to use the Oster 76. You can change the blades anytime you need. The Cryogen-x blade system makes the changing procedure extremely easy. It’s all explained in the instructions – you’ll see it’s not complicated at all. And there’s no need to sharpen them. If you wanna save time while you’re getting ready for an important business meeting or date, this little hero will take a great care of your hairstyle. If you’re a newbie in hair cutting, don’t worry; this is the best hair clipper to start with. 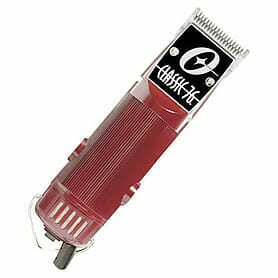 Instead of learning the hair-cutting magic on cheaply made and easy-to-break clippers, you should definitely buy this proven hair clipper that will do the perfect job in a simple and effective way. It works with all hair types, but what’s more important, it allows for a lot more than the average (and boring if I may say) buzz cut you see on almost every guy out there. As we already said, the motor of the Oster 76 is very powerful and it clearly and cleanly cuts through the hair in a professional manner, creating great fades and flawless close shaves. But, can you count on the Oster 76 motor when cutting bushy and thick hair? Duuh, of course! The unit is pretty large and the blades are sharp, like really, really sharp. The housing is made of valox material, which makes the whole set durable and long-lasting. So, whether you’ll buy the Oster 76 for personal or professional use, it’s definitely worth your money. And now, ready for the best part? The motor is as quiet as a mouse! Let’s face it: the noise from hair clippers can sometimes be very annoying, right? That’s why the Oster 76 quiet operation is a huge advantage. Moreover, the cord is longer than other hair clippers’ cord, which is another big plus; it’s simply makes the shaving or hair cutting more convenient. As for the accessories we mentioned, they are all replaceable, meaning that you can have every part repaired in case they wear out. Most of the 1300+ reviews rave about this tool that stood the test of time. Click here to read some of them! If you do a little online research yourself, you’ll find great reviews and high rating regarding the Oster 76. This clipper is everything it promises to be and a lot more! It delivers a tremendous performance and power, as well as reliability because of the convenient easy-to-use detachable blades. Moreover, the patented motor technology moves the Oster blades against the combs with full power and more precision, enabling efficient and clean cutting through thick, dry or wet hair. The motor can cut through the thickest of hairs, while the design is suitable for newbies. Come on, what more could you ask for? You can check out this YouTube video that explains why Oster 76 is so awesome! How much the Oster 76 cost? As for the cost, yes, the Oster 76 hair clipper is a bit pricier than some other brands you can find on the market. However, that shouldn’t scare you because with this hair clipper, you’re getting a unit that will provide excellent results for many years. It’s no wonder why professional barbers recommend the Oster 76 over the $20+ ones that will have to be replaced every year. If you’re on a budget, the Oster 76 may be a little expensive, but it’s definitely the best tool that will help you keep your hairstyle maintained. If you’re planning to start a career as a professional barber, this hair clipper is the perfect built-to-last product. Click here to find out if you can get free shipping with these clippers! 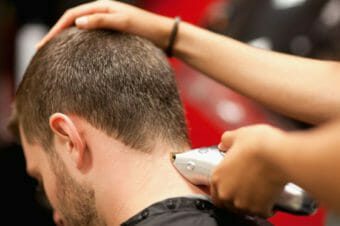 So, you’re already aware that there are a few certain features you need to consider when buying a new hair clipper, including the price, brand, blade types and comb attachments. And which hair clipper wins in all categories? That’s right! Oster 76 – the hair clipper known for its amazing features regarding innovations in personal grooming technology. You won’t find a better asset than Oster 76. Keeping your look and style in great shape has never been easier! Main Features of Oster 76 Other cool stuff about Oster 76 How much the Oster 76 cost? This is a very well written and accurate review. The Oster 76 is a great clipper and it is very versatile. I have been a professional Barber and have used the 76 for the past 37 years. Nothing on the market beats the Oster 76 / Titan 76. It is hand down the very best clipper on the market IMHO. I use the Oster Titan which is a two speed Oster 76. These clippers are well built and last. I use the complete clipper system including the full range of detachable blades and plastic guards. All quality built components. These clippers are thirsty for oil. I regularilly oil the blades and the clipper itself via the oiling nub. I also spray the blades throughout the day. This keeps the clippers running quiet and cool. Yes these are expensive when factoring in the cost of the blades but they are worth. It. The majority of my customers request tapering in their cuts. The blade system works very well. I just keep the clipper running and hot swap the blades from highest number to lowest as I progress through the taper. 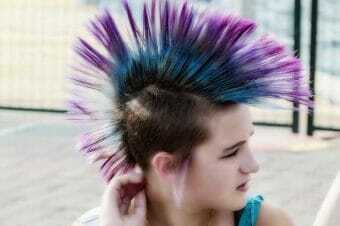 This result is a smooth taper with no lines. The Titan/76 are hefty but well balanced. The smaller Model 10 is a great clipper too. It runs a littler hotter and noisier but is very agile. Best the keep the blades organized with a blade caddy. There are a few choices on the market.